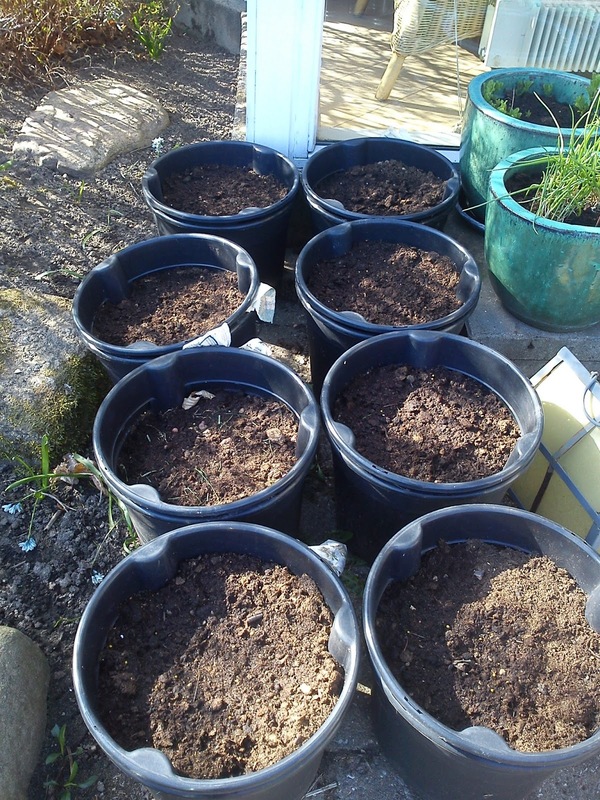 This year I have again received the "usual" supplier of potatoes from a good working colleague, which I have planted this weekend in these potatoes pots, which I invested in last year with great success. Instead of dicking up your potatoes, you actually picks the needed potatoes from below the earth surface. Besides from planting potatoes I used the good weather during the week-end to give some loving attention to my herb pots by supplying them with some fresh potting soil. As herbs I have chives, Swiss mint, garden mint, lemon balm, lemon tarragon and oregano. 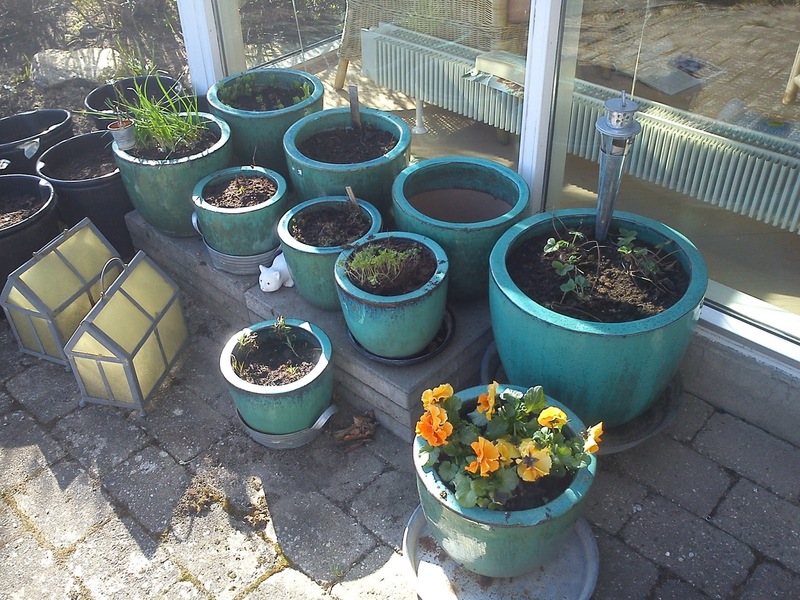 I need to buy some basil and rosemary to the two remaining enpty pots. And I exchanged an older strawberry with strawberry of the Ostara variety, which is remounting. In the first row (closest to the window) I have planted Arielle, in the second row I have planted Cerise, in the third row I have planted Ditta and in the fourth row I have planted Sava. 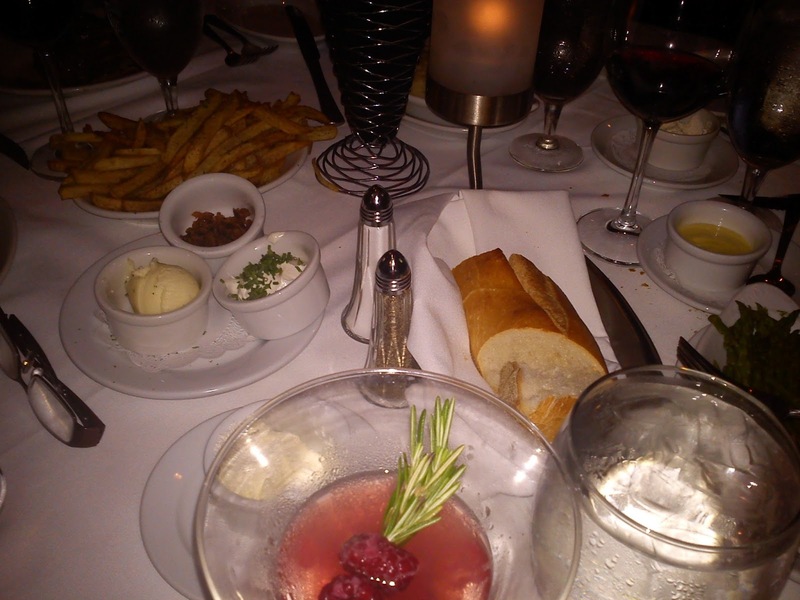 During my stay in the White Plain area in the state of New York my American colleagues and I had a first dinner together at Ruth´s Chris Steakhouse. Our dinner had something of something of "interesting" start to it, as I as the very first person, when asked by the waiter, ordered a Raspberry Rosemary Cosmo. Here I suddenly noticed some strange looks around the table from some of my American colleagues. After the first silent moment, one of my colleagues said "we can also start with beer" to the rest of the table !!!!! 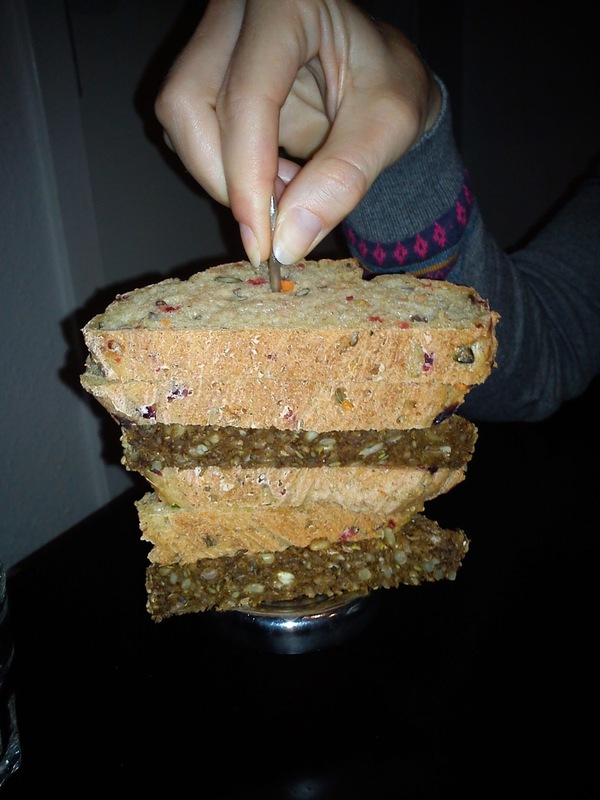 Big chock for all - the Dane drinks alcohol - strong alcohol !!! It was the composition of the drink, which really attracted my from the start. 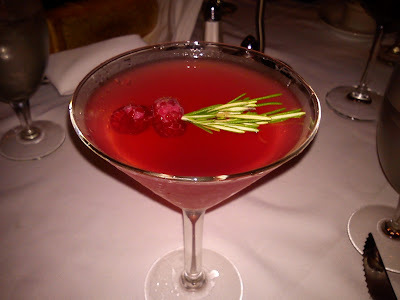 The description is the menu was: Absolut Raspberry Vodka, Cointreau, freshly squeezed lime juice, cranberry juice, muddled raspberries and fresh rosemary. This combination of raspberry and rosemary was too appealing to me. In my opinion the note of rosemary was too little, so it could have used some more rosemary. 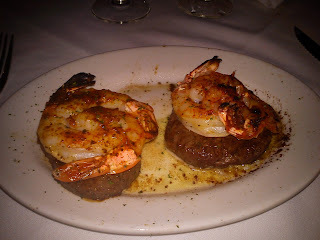 Being full of yogurt from New York I decided only to have a main course in form of steak served with large scrimps on top. At this specific restaurant the main course is not served with any side dishes (only the mentioned meat), so if you like to have vegetable or fries or sauce with your main course you need to order this as well. I decided to go for some fries. Due to the fact, that you need to order side dishes to your main course, it is actually quiet expensive to eat at this restaurant. 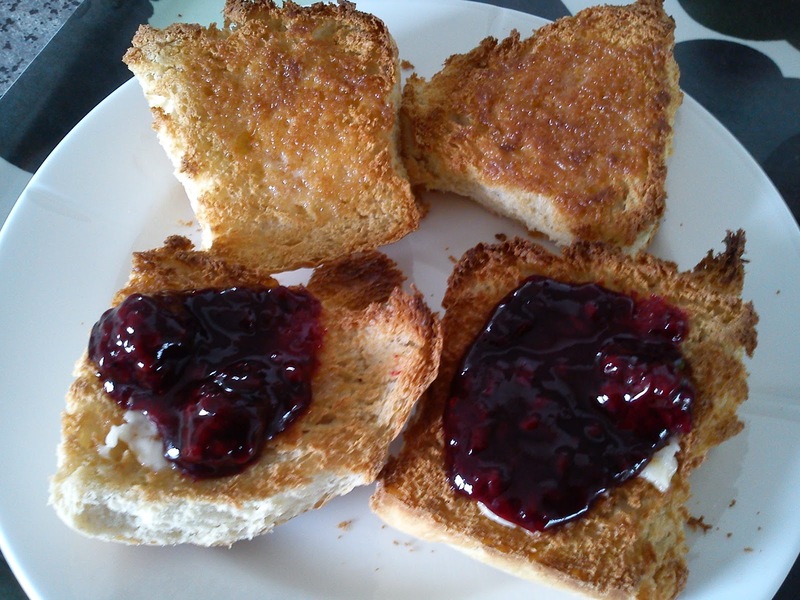 And the overall food impression for me is that of the ordinary, nothing expectational. I will give the experience 2 stars. In connection with work I was on a business trip to New York 2 weeks ago. And here some of my colleagues had mentioned, that in New York you should go and eat yogurt in two different yogurt cafes having focus on selling yogurt and nothing than yogurt like fast food. Working professional with yogurt I just knew, that I need to experienced these yogurt cafes on my own body and in my very own mouth and stomach. 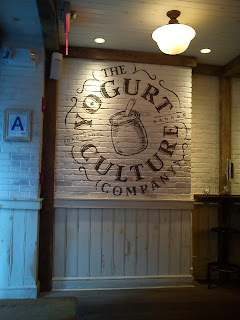 When some of my American colleagues heard about my plans, they wanted to join in on my "yogurt voyage", which I managed to convince them about was a "bad idea", as I need time to re-adjust to a time difference of 6 hours. 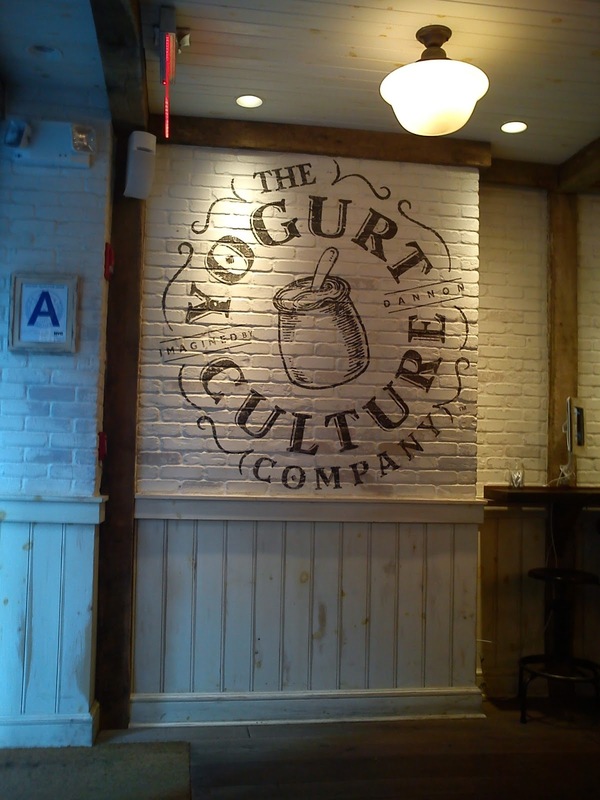 They got my message, so I could walk New York thin with my stomach filled with yogurt !!!! 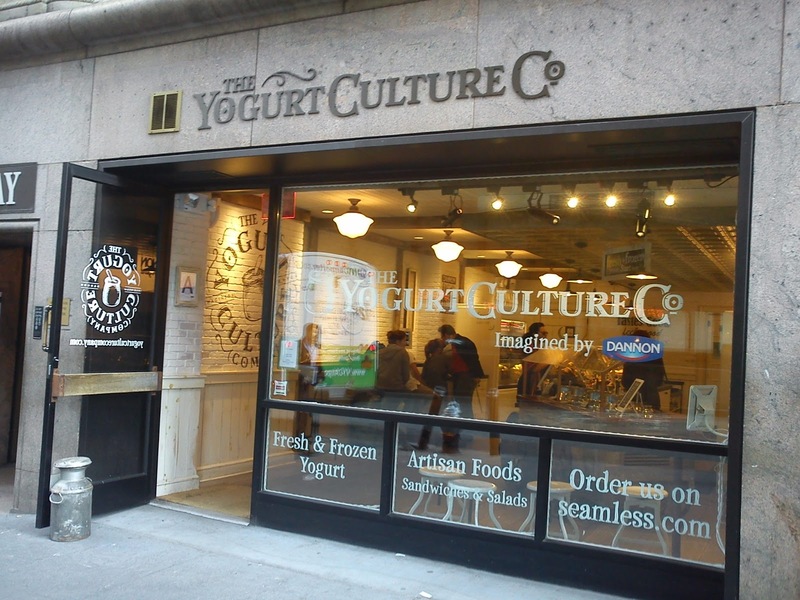 I started my "yogurt voyage" at the Dannon yogurt cafe called "The Yogurt Culture Co" located on Park Avenue. 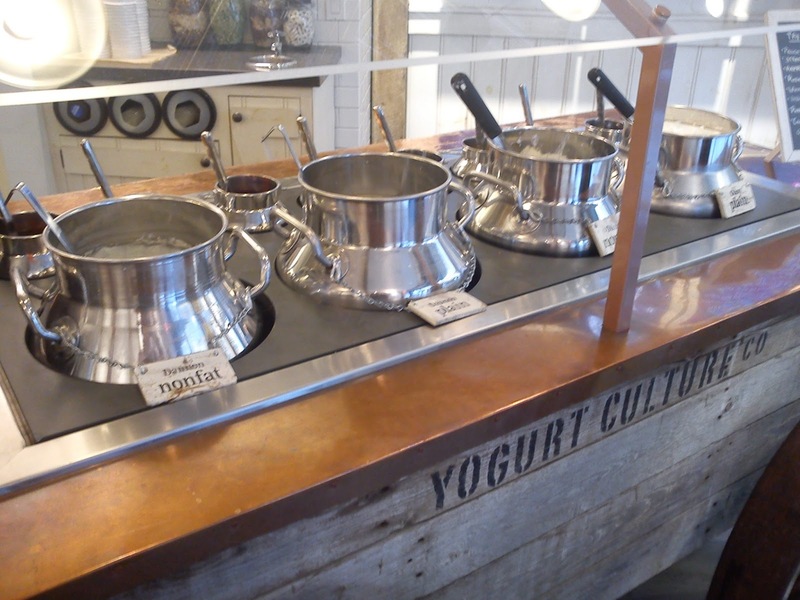 Here you can influence the actual yogurt, which you will be eating, as you can have the yogurt either as yogurt or as frozen yogurt, which is the first selection step. Naturally I decided to choose the real stuff in form of Greek yogurt (with fat) for a yogurt parfait. 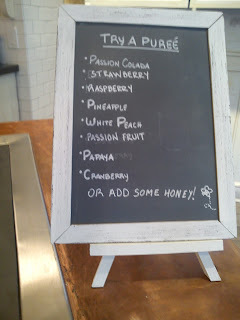 When the next selection step was, which fruit puree should be mixed into the yogurt. Being feed up with strawberry yogurt I went for the white peach. A small layer of the puree in filled into the bottom of the cup, and the rest of the fruit puree with some honey is mixed with the yogurt in a bowl, before a yogurt layer is filled on top in the serving cup. 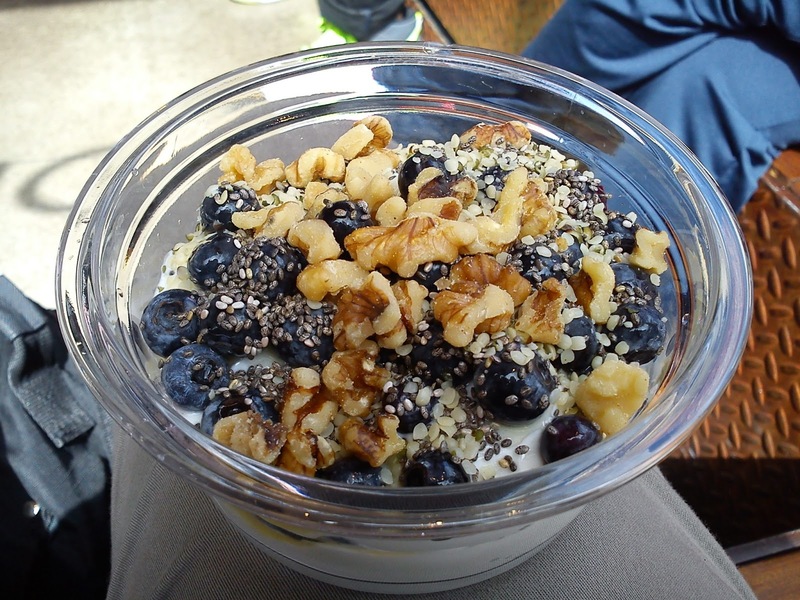 Next step in the preparation process was, that I had to select three different topping for this yogurt parfait. I selected some fresh strawberries as the first fruit layer. More yogurt was added on top of the strawberries in the serving cup, followed by fresh blueberries and the rest of the yogurt. 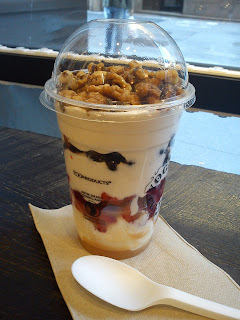 Finally I choose walnuts as the third and final topping for my yogurt parfait. 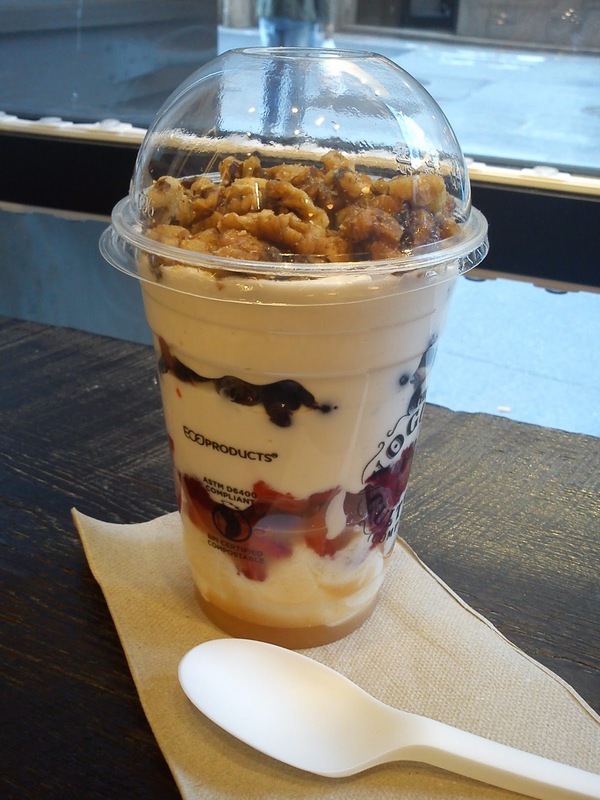 The yogurt parfait is served in a plastic cup with a plastic spoon. The price for such a yogurt parfait is 6.85 $. And this volume of approx 400 ml really filled up my stomach serving as an evening meal. 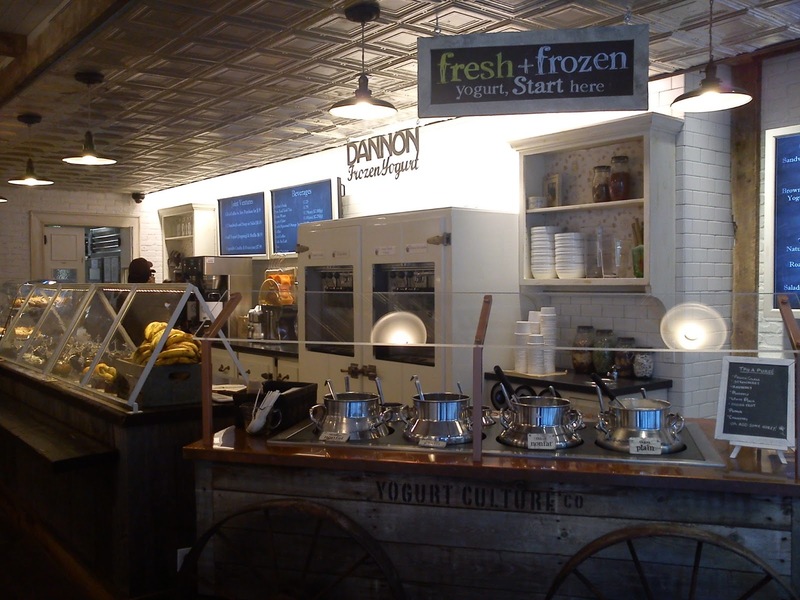 My overall impression of the Dannon yogurt cafe remains me of a Starbucks cafe with it´s brownish interior and rusticness. The morning after I continued my "yogurt voyage" walking something like 60 blocks from my hotel to the Chobani yogurt cafe located at Prince Street. 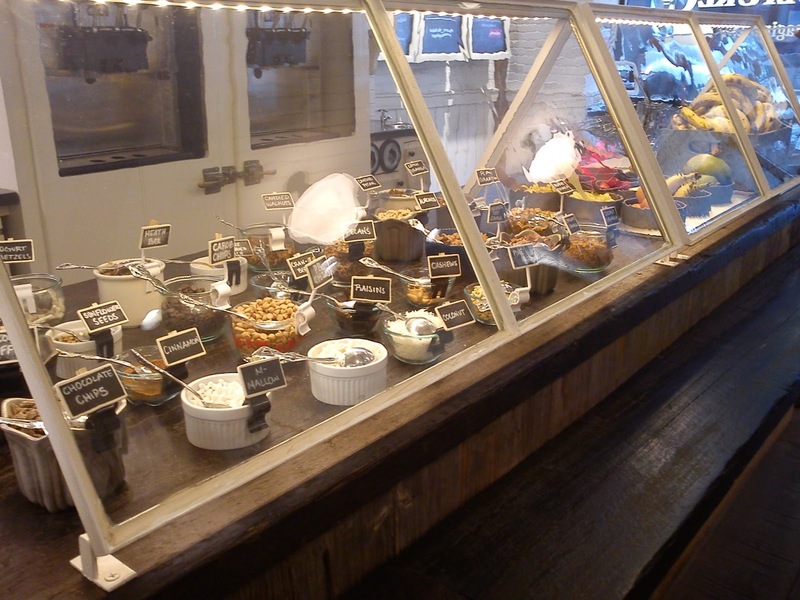 Here your only part of the selection process is to select your favourite between various yogurts on the menu card. 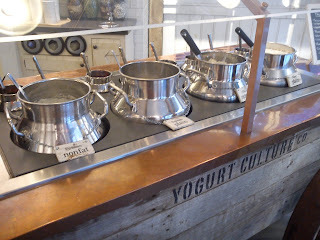 You can select between fruit yogurt and more savoury like yogurt either with cucumber or with salmon. A cup of yogurt cost 5.50 € incl a clean glass to bring with you home. In the Chobani yogurt cafe, where are no tables or chairs as in the Dannon yogurt cafe, so you are sitting on the window still, while you eat your yogurt. 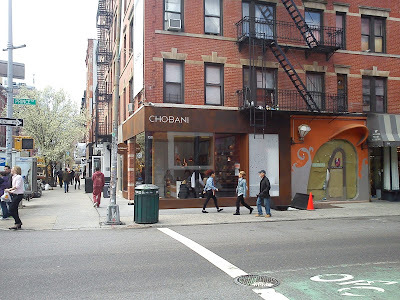 I got the feeling of a chic cafe at the Chobani yogurt cafe. 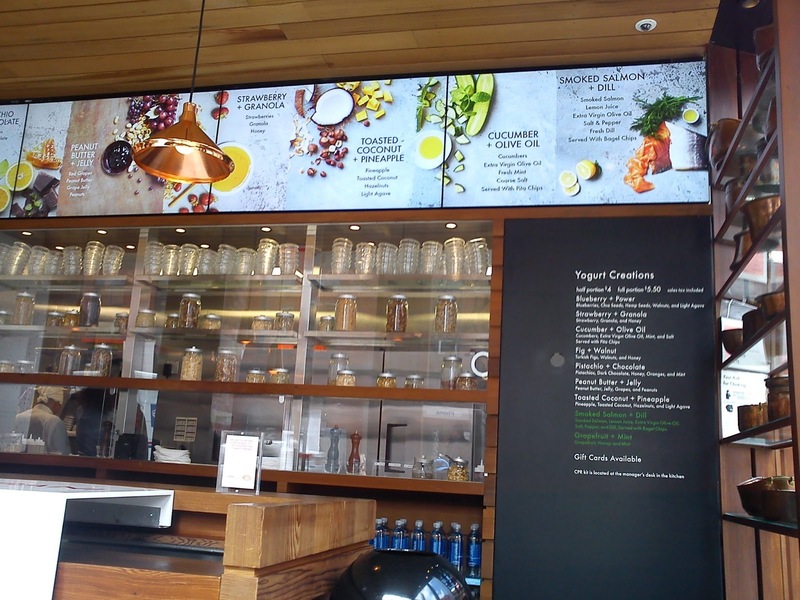 My favourite was the Chobani yogurt cafe due to the look of the cafe, the look of the served yogurt and that I got a glass. 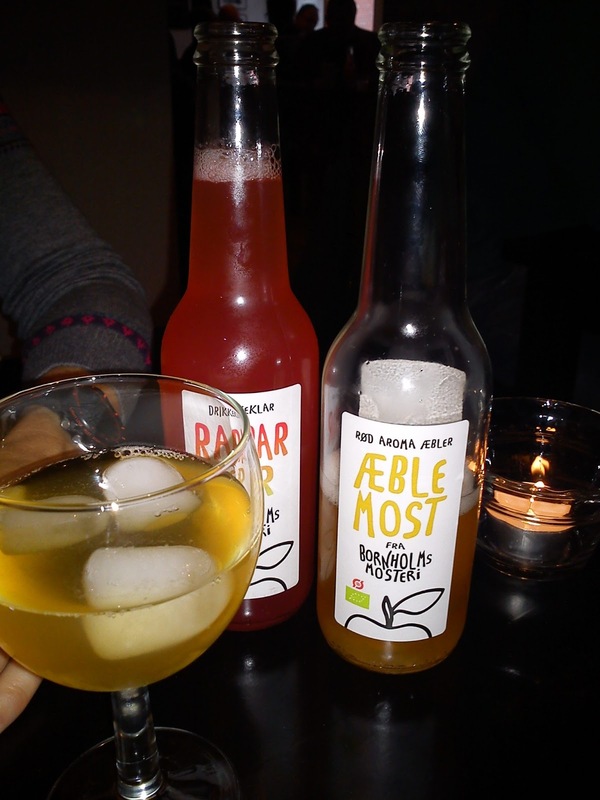 This coming Friday we will becelebrating the very Danish holiday called Store Bededag, translated literally as Great Prayer Day or more loosely as General Prayer Day, which is celebrated on the 4th Friday after Easter. One of the Danish Kings decided to collect a selection of small Christian holy days into one big day called Store Bededay, so the Danes would have more working days. 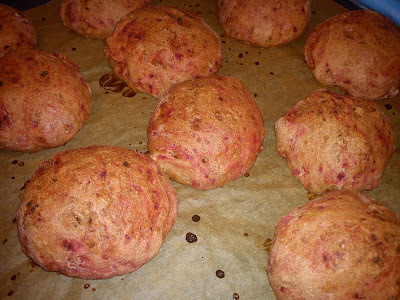 Raise the dough warm for 1½-2 hours OR 8-10 hours cold..
During a one-day trip to Sweden with my mother during Easter 2013, we visited an outlet area in Höganäs, Sweden, and here I found various new things for my little kitchen, which I as usual "could not live without" like this herb watering pot !!!! However, I found this silicone hand protector in a vibrant green colour from Sagaform (costing 49 SEK). So now I should be able to take hot things in and out of the oven, when I am either cooking or baking. 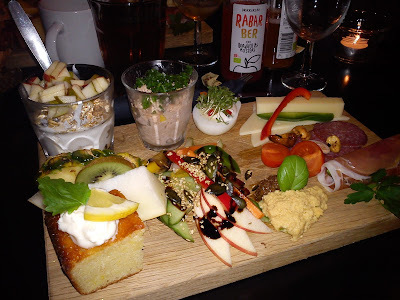 We decide to try a brunch plate served together with a glass of juice/cordial and coffee/tea, which costs 149 DKK. The brunch plate was a great combination of many different savoury and sweet parts. 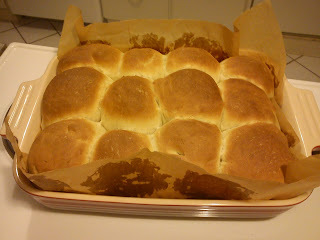 And the bread served together with the brunch plate was excellent. 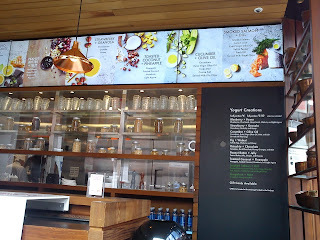 I can only recommend you to try out this cafe, which you are close to Vejle, and I will be back another trying out some of the lunch dishes. 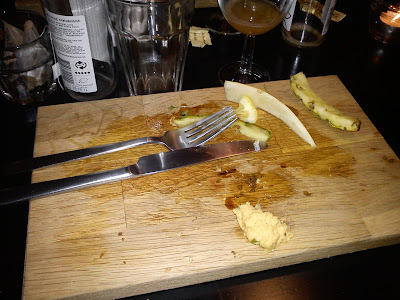 My good girl friend convinced me, that I should this blog post with a picture of the plate after the eating process had taken part instead of the usual photo of the food, before eating it. So in order to indulgent her, I have done it this time. So you should look at the bottom of this post to see a photo of the brunch plate, s it looked, when we received. I found this bread mix from Urtekram in my local supermarket. And as I was getting a 20% discount I decide to buy a bag and test it out. 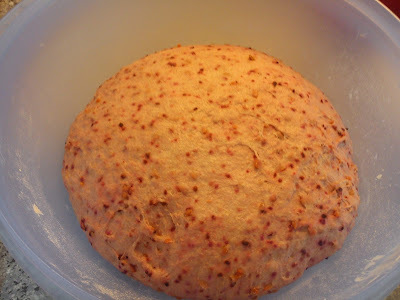 Besides from flour the bread mix contains dried carrot and red beet "stuff", which is giving colour to the dough as well as final bread. Looking into the bread mixture being dried, you can not the orange or purple colour of these vegetable, however, when you have added in the water and start to knead the dough, the colour is turned on !!! 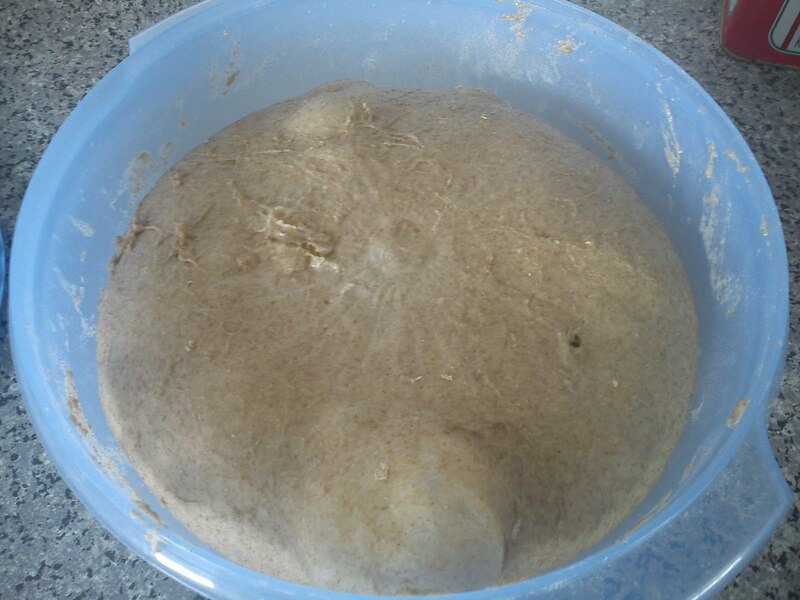 In my opinion you can easily increase the water amount from 500 g (5 dl) to 550 g (5½ dl), as the dough is quiet firm to work with. 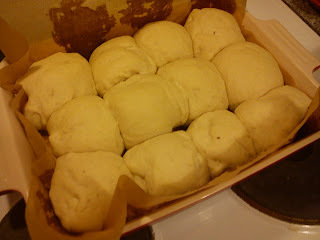 I decided to use the recommend water amount, as I had no idea, how it would the dough would work during the kneading process. 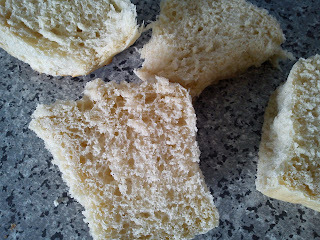 Besides from the water you have to add salt, oil and yeast to bake this bread mixture. I was paying approx 30 DDK for this bread mixture, so it would be cheaper for you to bake your own bread (still using organic wheat flour), and when add some grated carrots and red beet into the dough. However, I am can easily see the advantages of using the bread mixture, if you do not have flour being a basic ingredients in your kitchen. So would I buy this bread mixture again myself. 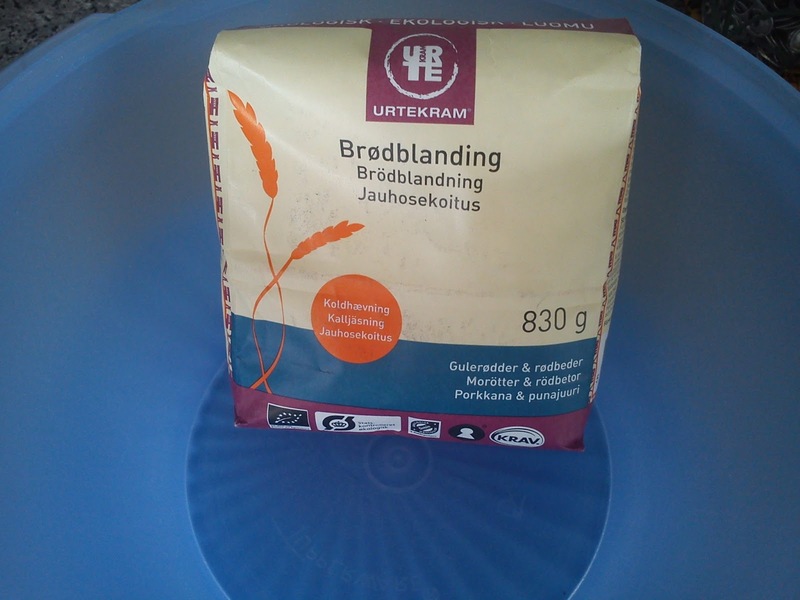 Yes, I would buy the bread mixture, if I can get it with a discount, otherwise I find it too expensive. 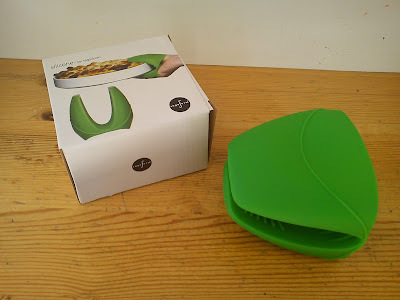 During a one-day trip to Sweden with my mother during Easter 2013, we visited an outlet area in Höganäs, Sweden, and here I found various new things for my little kitchen, which I "could not live without" !!!! 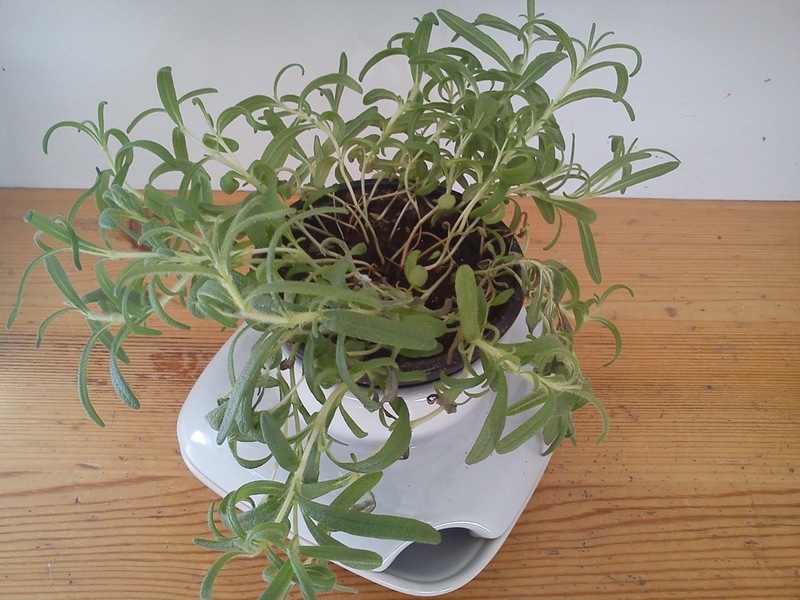 One of the things, which I brought, was this herb watering pot from Sagaform (costing 99 SEK). So now I can place a pot for herbs in this watering pot instead of the usual drinking water glass, which always is running out of water combined with calcium marks (from the water) afterwards. 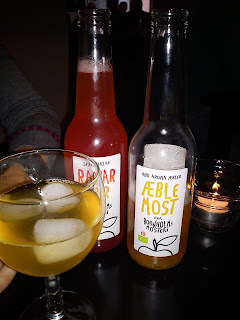 In connection with an evening at the teather with a good girl friend we need to find a place, where we could eat a fast evening meal. 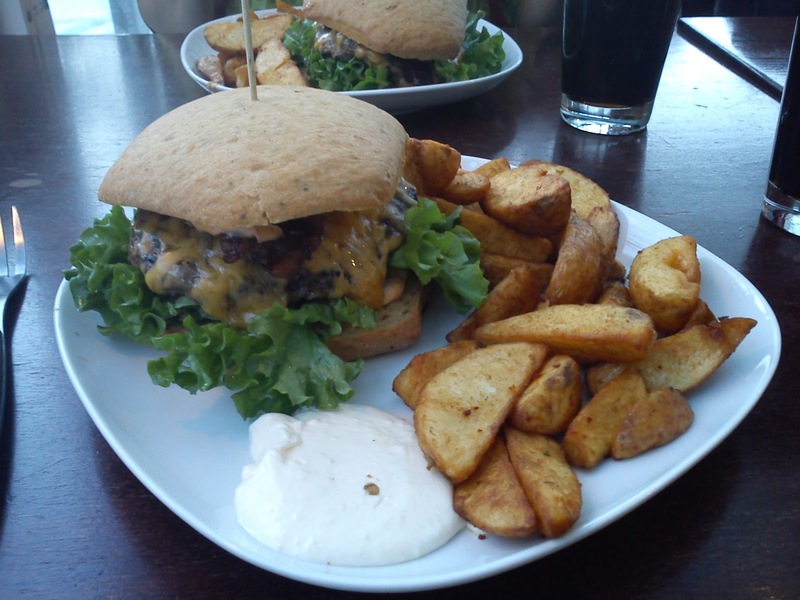 We went to Cafeen Den Gamle Arrest, where we both decided to have the classic cafe burger served together with roasted potato boats and garlic sauce. It was a decent burger, but nothing exceptional taste wise, but it served it´s purpose something fast to eat within 1 hour. The burger costed 118 DDK. I will give the experience 3 stars. 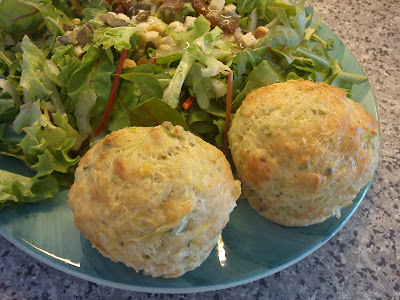 This salad I served together with the picnic muffins. It is a very simple, yet tasteful salad. 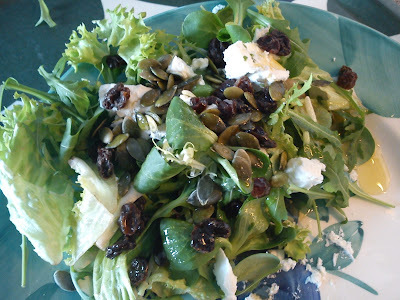 As the green salad part I used a mix of various salad leafs (brought as a finished mix in the supermarket), which I when combined with pieces of firmer goat cheese (without surface culture), pumpkin kernels and raisin. The dressing was made from olive oil, elder flower vinegar and fluid flower honey. Recently I was on a business trip to Belgium, where I stay in a smaller town called Aalster, close to Ghent. As I walked from the station to the hotel I only noticed pizza shops as possible places to eat my evening meal, so therefore I decided to have my evening meal at the hotel, where I stayed. 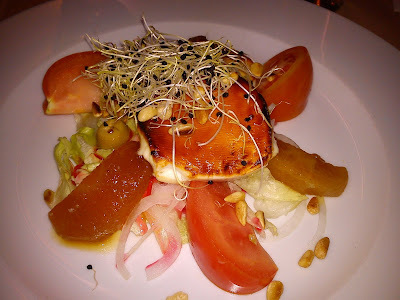 As starter I decided to go for a salad with goat cheese. 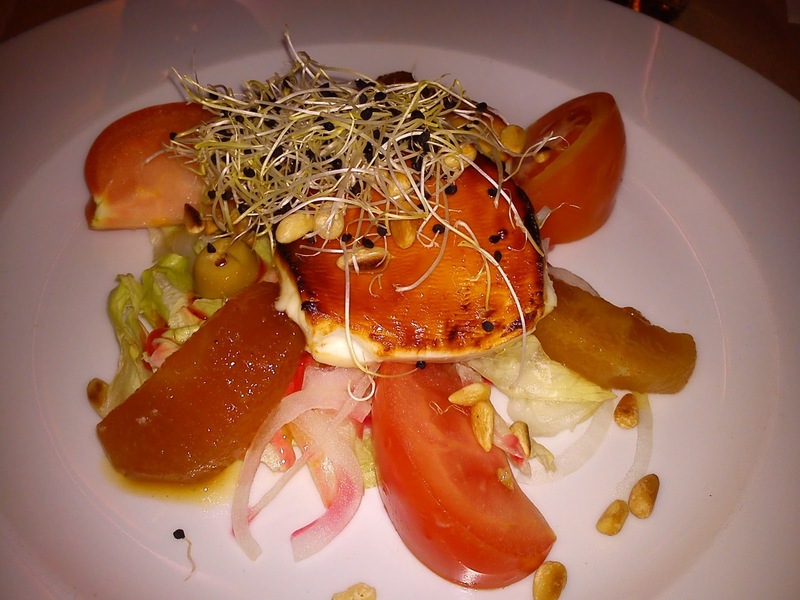 The salad consisted of warm goat cheese served together with dried apricot, red onion, tomato, green olives, pine kernels and some salad leafs. As dressing was used pomegranate cordial, actually plenty of pomegranate cordial, so the salad turned out to be very, very sweet just like a dessert !!! Otherwise the combination of warm goat, pine kernel and dried apricot was quiet interesting. As main course I took a more traditional dish in form of beef served together with sauce Bearnaise and fries. 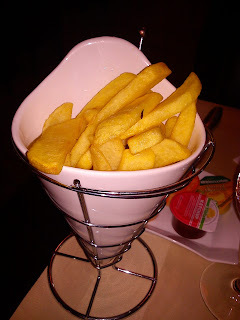 I really liked the idea of serving the fries on it´s own in very hot china cone in order to keep the fries warm during a longer time. 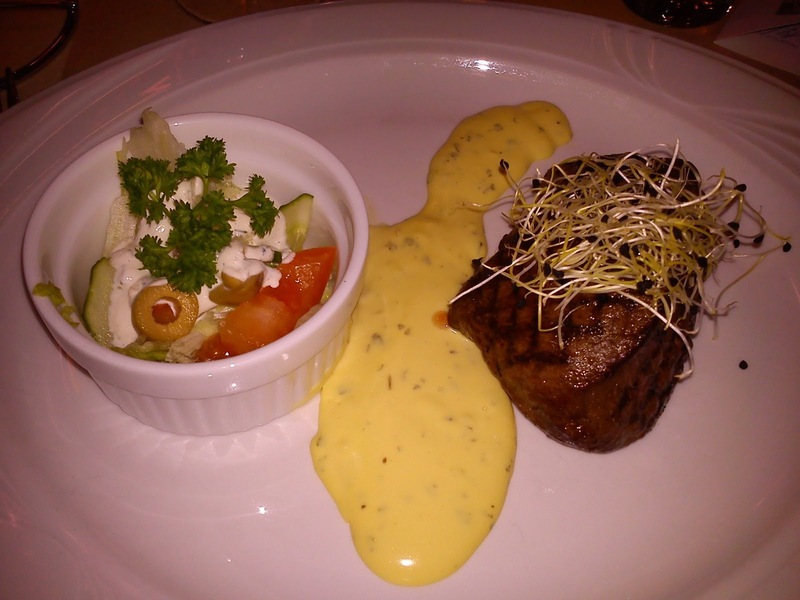 In total this meal costed 39 € for goat salad, beef, water and a glass of white wine. It was a decent meal, but not expectational. 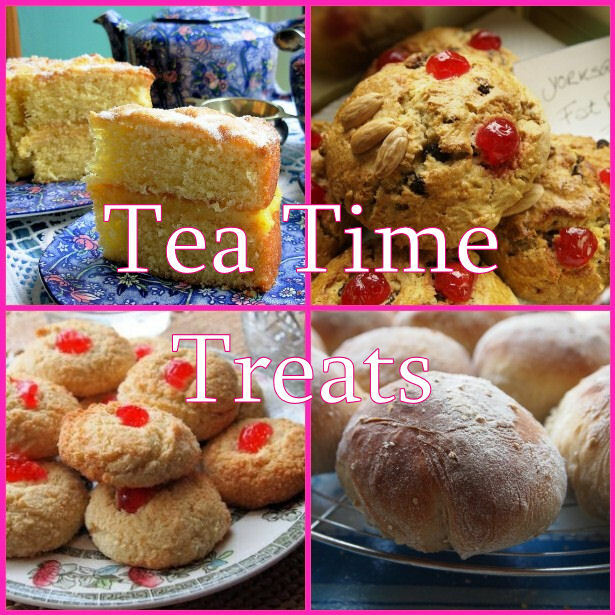 The monthly Tea Time Treat was more easy this time around for me . Here in April it is Kate from What Kate Baked (being the hostess of the virtual tea table), and she selected Fairy cakes, cupcakes and muffins as the theme. What is a fairy cake ? 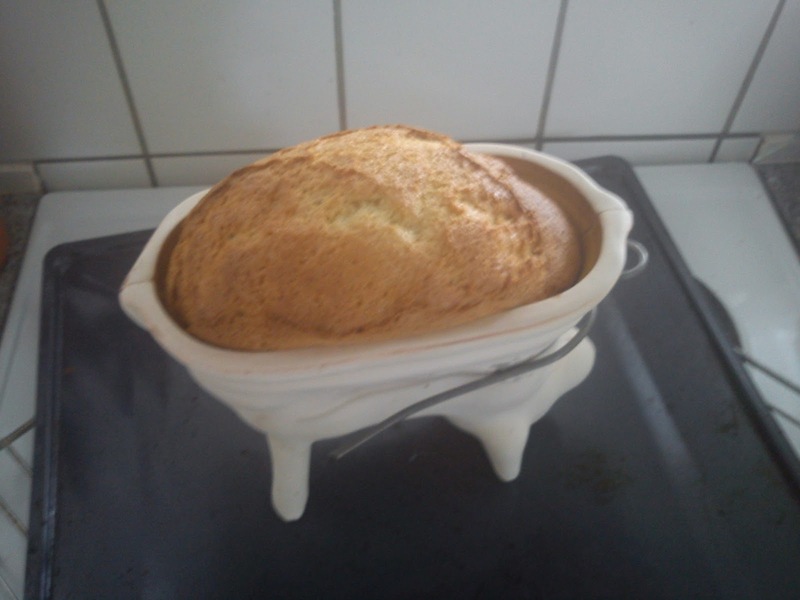 Is it a cake with a fairy in-side ? I do not think it is allow to use fairies in cakes in Denmark, but apparently in England, as you can have a Fairy cake there !!!! As muffin Kate mentioned, that savoury muffins also could be an option, soI decided to look into "the bread" "Hjemmebagt", where I selected to bake Skovtursmuffin (Picnic muffin), so I at the same time could advance with my goal on baking my way through this excellent bread book, while I at the same time created a muffin for the monthly virtual tea table. Whip eggs and milk together, and pour it into the mixing bowl, stir everything well together. 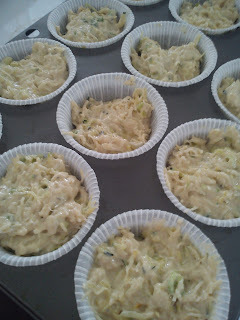 Add Emmentaler cheese, spring onions and squash, and stir everything into a homogeneous mass. Fill 12 muffins with the dough. Bake the muffins at 180'C for 30 minutes. I still have the eating pleasure of these Easter egg in front of me :-))) even though Easter 2013 finished two days ago !!!! As Christmas gift I got this Easter lamb form of my mother at last Christmas. 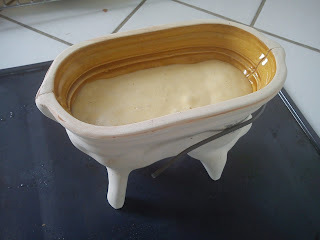 It is a ceramic form from Alsace, where they are used for baking Easter lamb in connection with Easter. So having this form in my kitchen I needed to find a recipe for such an Easter lamb. Luckily a good French colleague of mine, which has been helping me out before (French Christmas Cookies), was able to help me again. I decided to add some vanilla sugar into my version of Easter lamb. So today being Easter Monday it is time to make my last Easter creation in my kitchen. 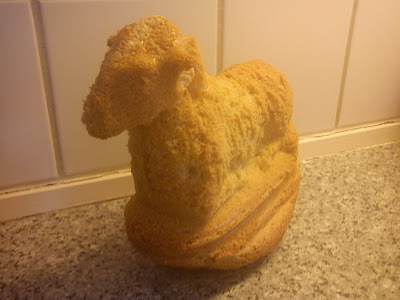 It was quiet to bake my own Easter lamb, but I needed to work further on this recipe, as the taste is relative plain. 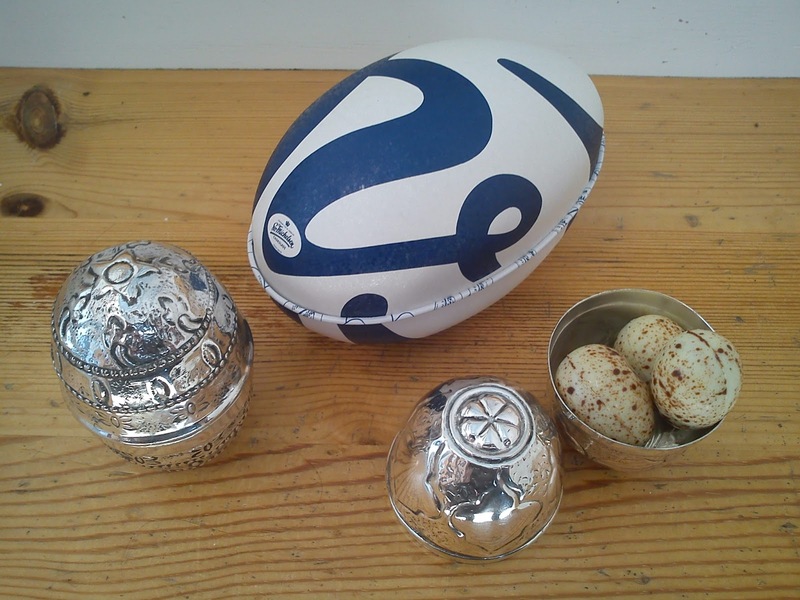 If you have some ideas as to how to twist such an Easter lamb, please feel free to leave a comment. 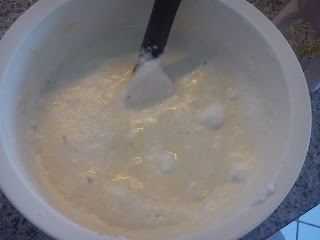 Whip the egg yolk, water and icing sugar together into a white and foamy mix.